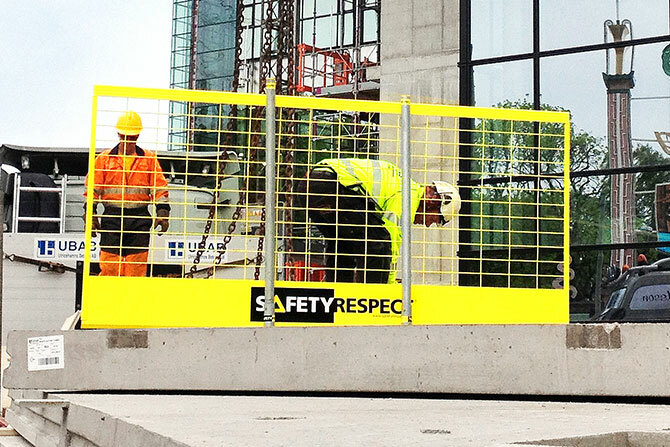 In order to create a safe working site and save time the edge protection can be installed on prefabricated elements before they are lifted in place. 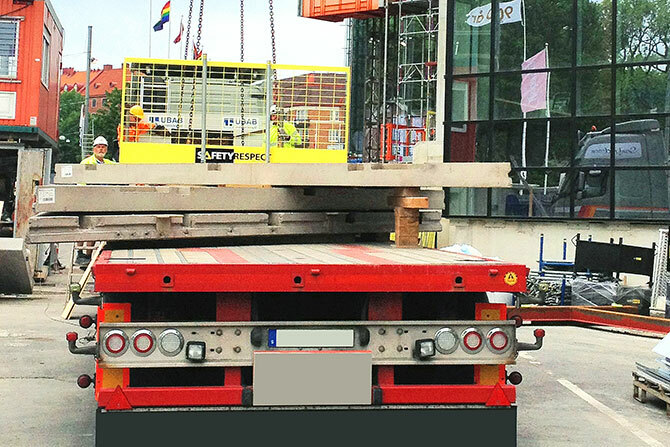 For example, attachments, Post 1,3 m and Barrier 2,6 L can be installed already on the lorry on which the prefabricated elements are transported or on the ground before hoisting them in place. 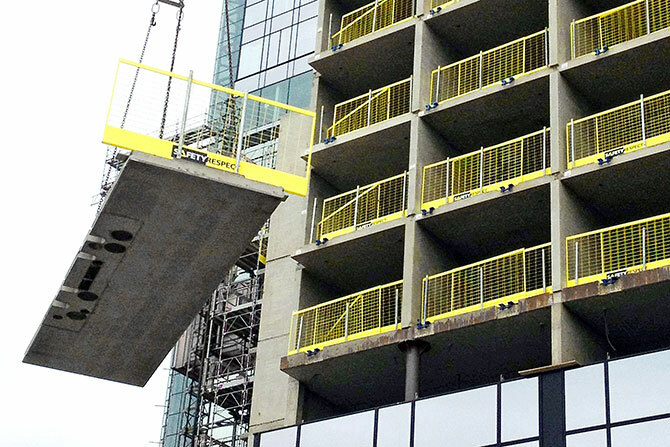 The edge protection will then be in place already when the next working phase is to be started on the building. Installation is fast and safe, and creates better economy as saved time is achieved through more efficient use of building cranes.